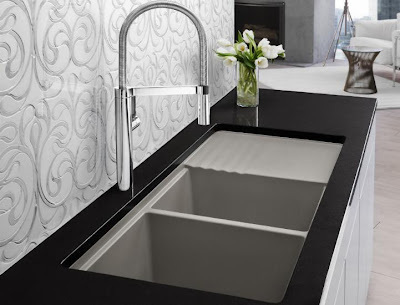 The great folks at Blanco just rolled out their newest color to their line of Silgranit II sinks. The color is called truffle and it's a grey-brown that will look great in many situations and will help bring out the beauty of stone counters particularly. Silgranit is a manufactured material made from 80% pulverized granite and 20% arcylic. The material that results is stain-, scratch-, acid- and heat-resistant and will outlast the counter it's attached to and still look great. Speaking of looking great, that's Blanco's Kulina faucet int he photo above. 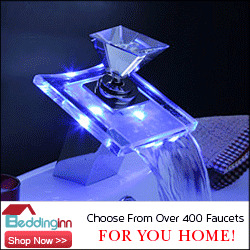 I have to admit that I was a skeptic when these manufactured sinks started to hit the market. I lumped them unfairly with the less-than-ideal solid surface sinks Corian is still trying to pawn off on an unsuspecting public. Silgranit II is in a league all its own however, and these sinks are some of the most resilient and long-lasting on the market. But Blanco's not stopping with Truffle sinks. 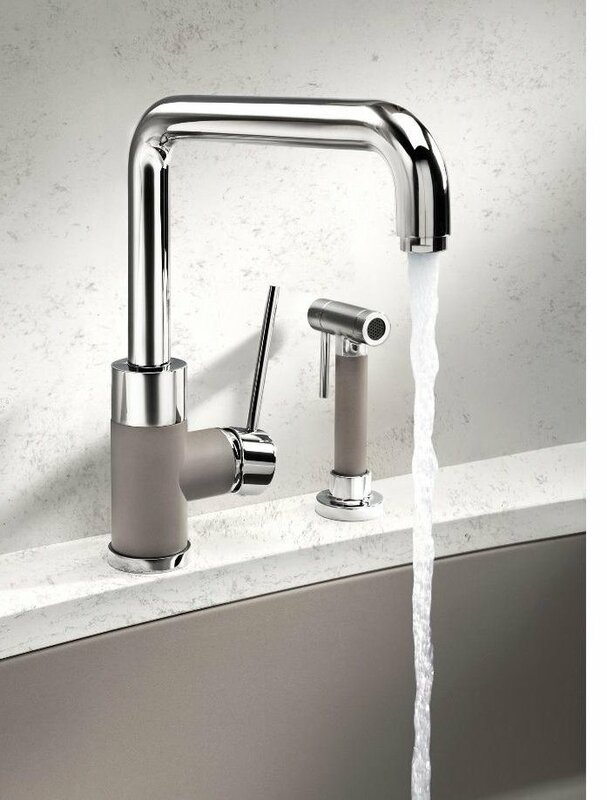 Truffle is also available as an accent color on four of their faucets. 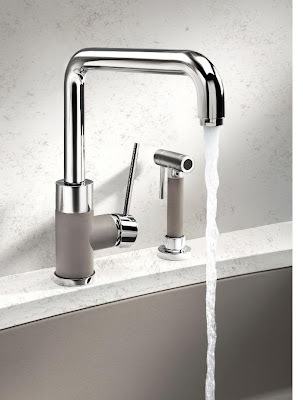 Those same faucets are available too in Café Brown, Biscotti and Anthracite. Pulling a sink color out of the sink and onto the faucet may be the accent some people are looking for. Color-accented faucets are all the rage from what I saw in Europe earlier this year so it's a look that's bound to catch on here eventually. You can learn more about the world of Blanco products on their website. Great color! I see some many applications for this color, wouldn't mind owning one this color myself. Thanks, Paul! My Blanco rep told me this color was coming soon awhile ago. I'm glad to see it's here! I'm excited to see it in real life, I think it will be a good seller. There's nothing else like it on the market. It's great to have a light brown that doesn't skew yellow.